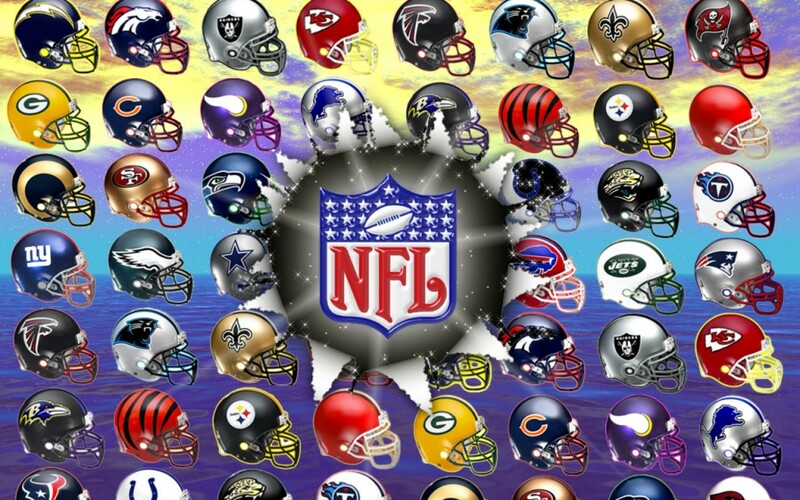 Will a Turkey from Lawrenceburg Kentucky predict the winner of three NFL games? 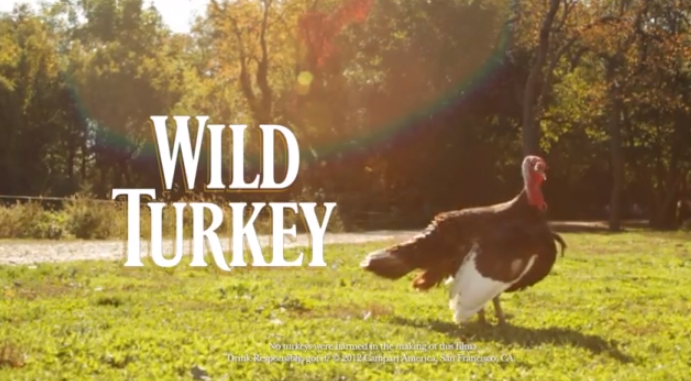 On Tuesday, November 20, Jimmy Junior, Wild Turkey Bourbon’s real, live wild turkey, resident feathered sports forecaster, takes his talents to New York City to predict the outcome of the three 2012 Thanksgiving pro football games. Seriously, they’re giving this Turkey the choice of two teams and he will actually pick one team with his own snood. BourbonBlog.com wants to know…do YOU think Jimmy Junior will predict any of the games correctly? Tell us below on this link! Jimmy Junior, named in honor of long-time Wild Turkey Master Distiller Jimmy Russell, comes from Lawrenceburg, Kentucky, home of the legendary Wild TurkeyDistillery. As a chick, Jimmy Junior began showing an affinity for predicting local football games. 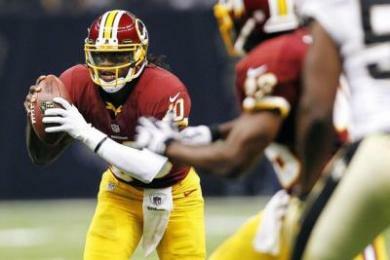 Now, he is focusing his skills on the professional leagues. With the hopes of joining the annals of great animal prognosticators, such as Paul the Octopus and Punxsautawney Phil, Jimmy Junior will be featured inWild Turkey’s first-ever Triple Barrel Challenge, hosted by former Professional Football Legend Vinny Testaverde, at the Times Center in Times Square at 11 a.m. ET. On the Tuesday before Thanksgiving, Jimmy Junior will take the stage with Testaverde in a true sports spectacular. Before throngs of media, Jimmy Junior will be presented with barrels of feed signifying the six teams playing on one of football’s biggest days. Following months of studying the latest football stats and speaking to the best football minds in the business, he will use his vast knowledge of the sport and eat from the barrel of the team he thinks will win each Thanksgiving match up. His picks will undoubtedly reverberate throughout the sports world. 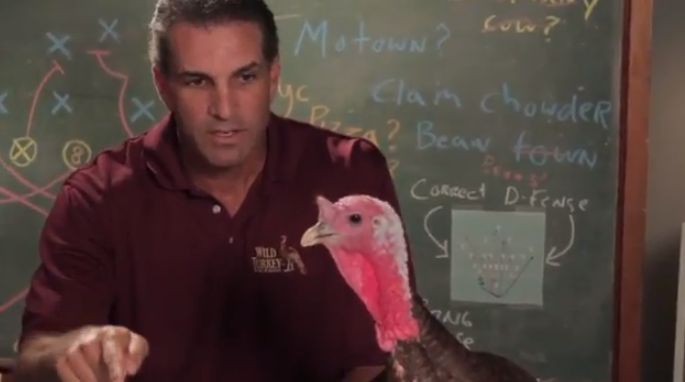 “Jimmy Junior is the best, not to mention the only, football picking turkey I’ve ever worked with,” All Pro Vinny Testaverde tells BourbonBlog.com. “After all my years in the sport, I have never seen anyone who demonstrates such an uncanny ability to see through the hype and focus on what team will really come out on top. I fully expect him to go three for three this Thanksgiving, giving turkeys everywhere something to gobble about.” Football and bourbon fans nationwide will have the opportunity to compete against Jimmy Junior to win great prizes, such as a branded turkey fryer, through Wild Turkey’s Facebook page under the “Pick ‘Em and Win” tab. More at the Wild TurkeyFacebook page. “I can honestly say the Triple Barrel Challenge is the first time football fans can go head-to-head against a live wild turkey,” said Wild Turkey Master Distiller Jimmy Russell. 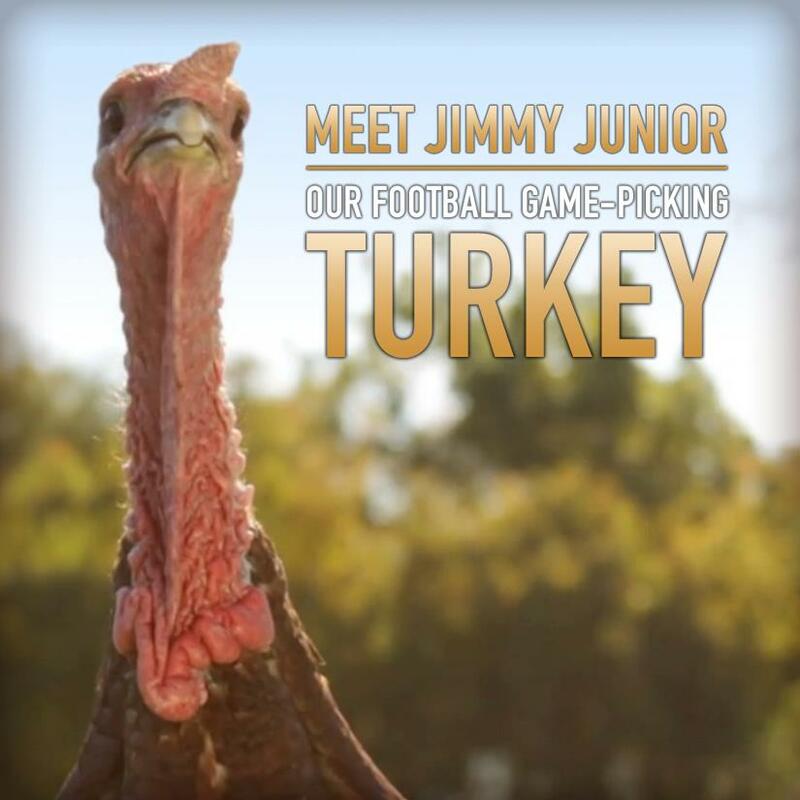 “Football andWild Turkey are synonymous with the great American Thanksgiving holiday and we couldn’t be more pleased to introduce Jimmy Junior to the longstanding traditions celebrated by the millions of people nationwide on this special day.” Jimmy Junior’s professional debut at Times Center will be covered by national media and will also be syndicated through Wild Turkey’s YouTube channel after his picks are in. Following the event, Wild Turkey will be donating 81 turkeys to the victims of Hurricane Sandy in the New York Tri-State area through City Harvest. Uncompromising since 1855, Wild Turkey is the Real Kentucky Straight Bourbon Whiskey, a true American icon crafted by legendary Master Distiller Jimmy Russell and his son, Associate Distiller Eddie Russell. Besides the classic Wild Turkey 101 Bourbon, other expressions now include Wild Turkey 81, Rare Breed, Kentucky Spirit, Wild Turkey 81 Rye and Russell’s Reserve.